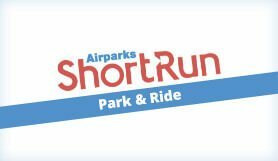 ShortRun by Airparks, is a new car park, just 1.5 miles from the airport. Expect the same expert service plus the benefit of being closer to the terminal and a fast transfer system. Well established park and ride service near Birmingham airport. The car park has a Park Mark Award for safer parking, CCTV and 24 hour security patrols. Airparks' professional staff are on the scene to make sure your journey runs smoothly from start to finish. Buses operate 24-hours a day, and between 03:00 and 23:55 they run every 25 minutes. Outside of these times, a shuttle service runs on request. Pull up at the barrier of the car park and one of the ShortRun team will come to your window to confirm your details. They'll tell you where to park and give you a receipt with information on what to do when you get back from holiday. Make sure you keep this safe. They'll then open the barrier and let you in. Once you've parked, head to the bus stop and let the driver help you with your luggage then drop you off at the airport. They journey will take just a few minutes. Go back to bus stop A, where the bus dropped you off, hand the driver the receipt you were given when you parked your car and they will take you back to the car park. They'll help you with your luggage again. Leave the M42 at junction 6, taking the fifth exit if you’re coming from the north or the first exit if you’re coming from the south. - Take the first left onto South Car Park Road. - At the mini-roundabout, take the third exit to stay on the road. - Take the first exit at the next mini-roundabout. - Take the next left onto Perimeter Road. - At the end of the road, take a right onto Exhibition Road. - Take the second left onto an unnamed road. - Turn left before the road veers to the right onto another unnamed road. - Take the first exit at the next two roundabouts. - You will find the car park on the left before you reach the Premier Inn.